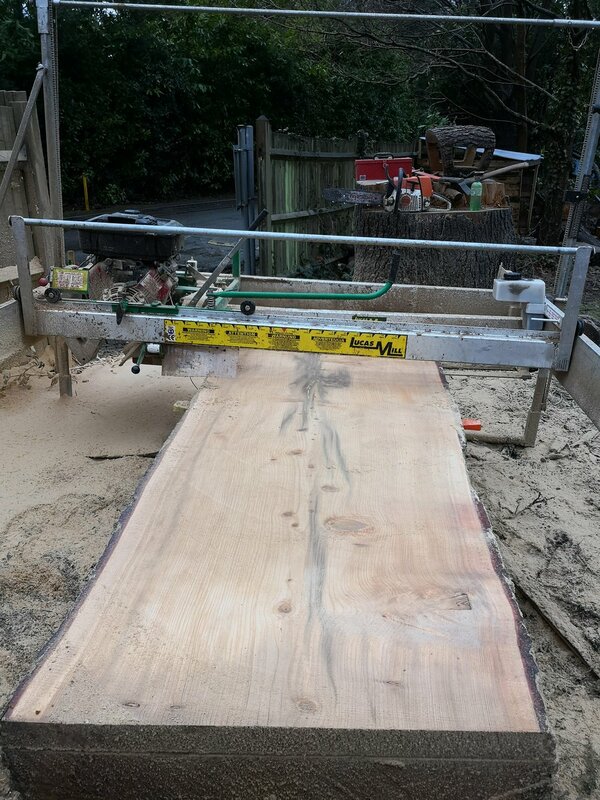 Milled up a large Deodar Cedar in Tunbridge Wells. its really beautiful timber and can be used outdoors or indoors. Traditionally it was used to line boxes, drawers and cupboards because it has a lovely fragrant aroma that lasts a long time compared to other timber fragrances . I cut some wide boards for furniture as well as narrow planks for some fencing.